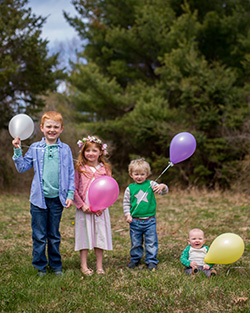 Since I have about fiveteenbazillionty people visiting right now for Baby Evan’s birthday, I was really hoping to find an Friday activity we could all enjoy more than starting at each other. Or cleaning my stove. Which is apparently my dad’s idea of a fun afternoon activity. 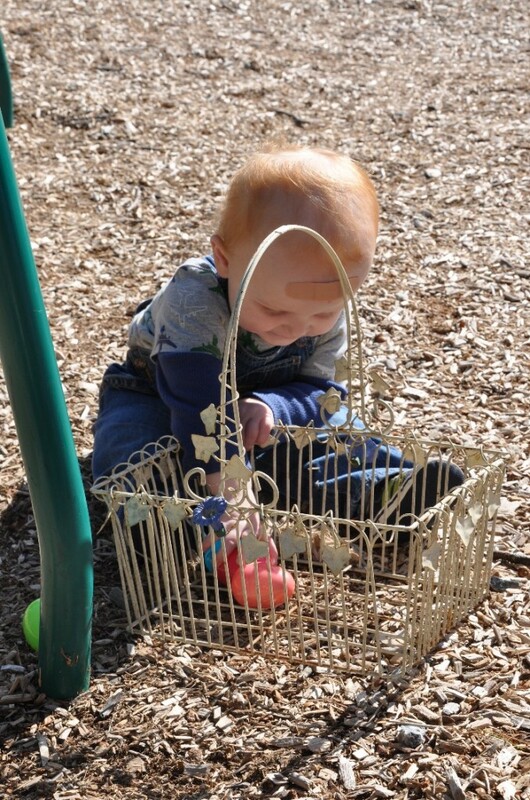 Luckily, I was able to rudely invade my play group’s Easter egg hunt at the local park, because standing around staring becomes an acceptable pass time when there are children at which to stare. Of course I mean stare in a totally non-creepy, not in the bushes, not driving a windowless van sort of way. Besides, it’s not like I had anything better to do than buy, stuff, and hide 30 plastic eggs. I don’t have much going on right now. You know, nothing like a ridiculously elaborate, hand crafted birthday party for 45 people. Nope, not me. 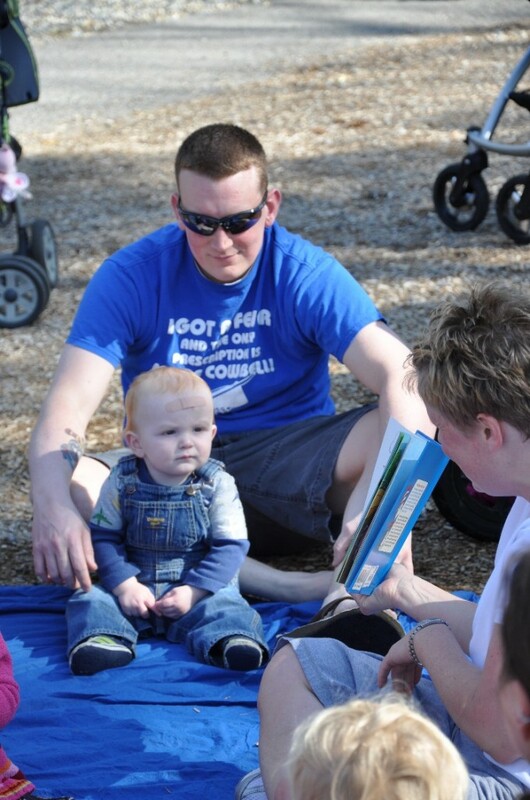 Baby Evan enjoys story time before the hunt started. P.S. DON'T EVEN ASK ME ABOUT WHY HE HAS A GIANT BANDAGE ON HIS FOREHEARD. OK, LET ME TELL YOU ABOUT HIS HEAD. It's really not a big deal. Baby Evan fell this morning and smashed his head on the support post in our kitchen. I'm told he wasn't actually that upset but the bump is HUGE. Even huger than the bump from our emergency room trip. 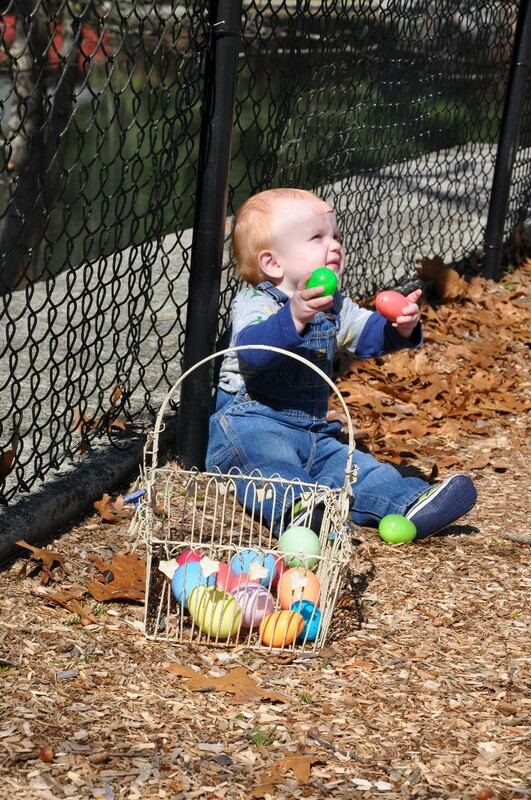 Baby Evan's cousin Ethan liked finding the eggs, but was very disappointed most of them didn't contain candy. All the mommies made wise choices so most of them had stickers and organic snack mix. Baby Evan didn't really care what was in them. 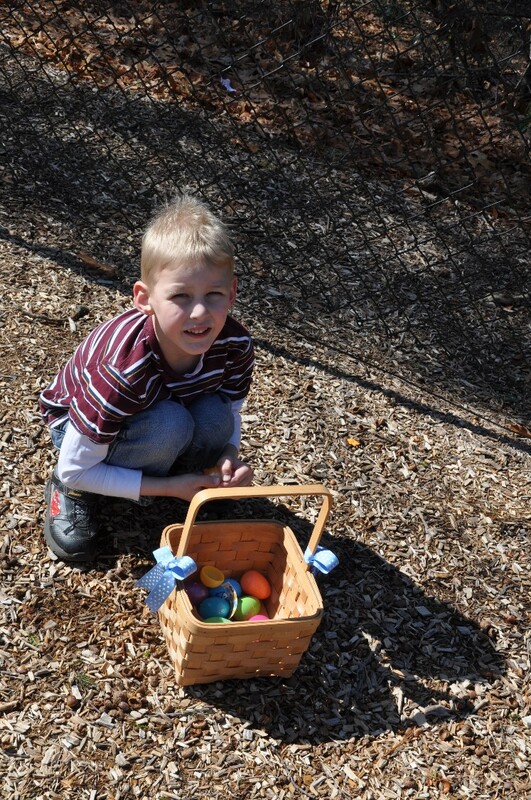 He just liked that they were round and brightly colored. 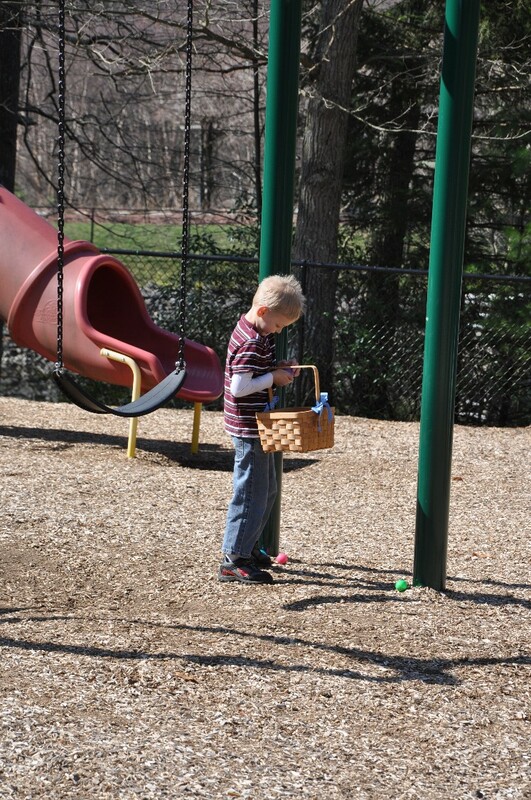 Ethan did somehow manage to find the only two eggs on the entire playground that had chocolate in them. Boy, that kid really likes candy. Saturday is going to BLOW HIS MIND. Awesome, now I have a whole bunch of really useful plastic eggs. OK, so the bump has gone down a lot since this morning and I'm hoping he'll be improved enough before the party that no band-aid is better than band-aid. Or maybe I'll just find some circus themed band-aids and pretend it was on purpose. I need a brick for his head. That totally works right? 1. Evan’s cowbell shirt is AWESOME. 2. Those leftover eggs? Sell them on eBay. No, I’m serious. I had a bunch of extras a few years ago and listed them on eBay, thinking, “what the hell, someone might want them.” I listed them in about June, when you can’t find them in stores. 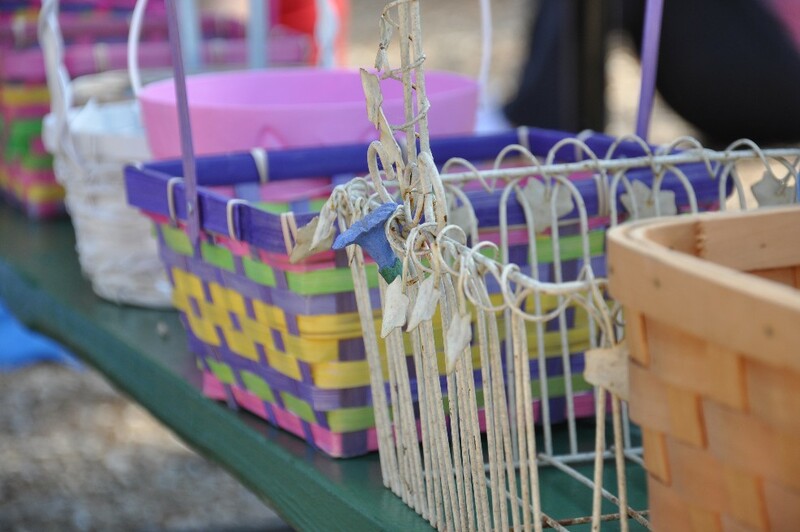 There was a BIDDING WAR and someone ended up paying something like $15 for about a dozen plastic eggs (all the bidders wanted to know if I had more because they were all doing some craft project and needed plastic eggs). I kid you not. So, wait for June and sell those puppies. Make a fortune. 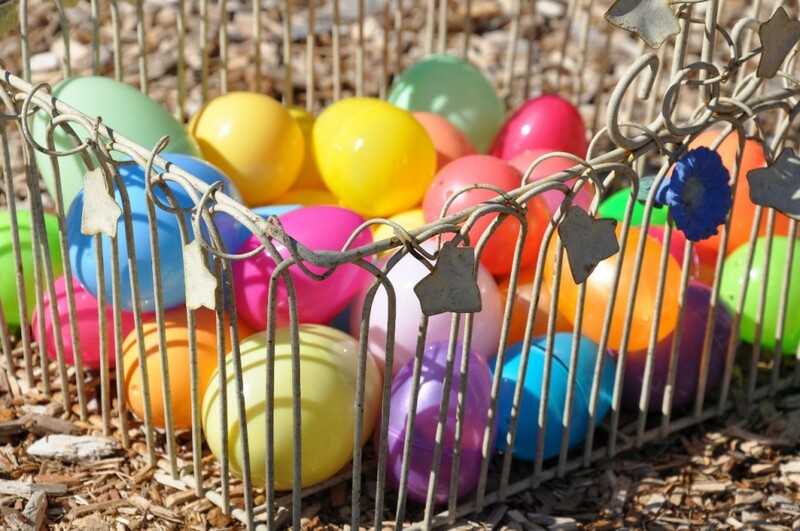 I have all my plastic eggs in a bin and just pull them out every year to re-use. 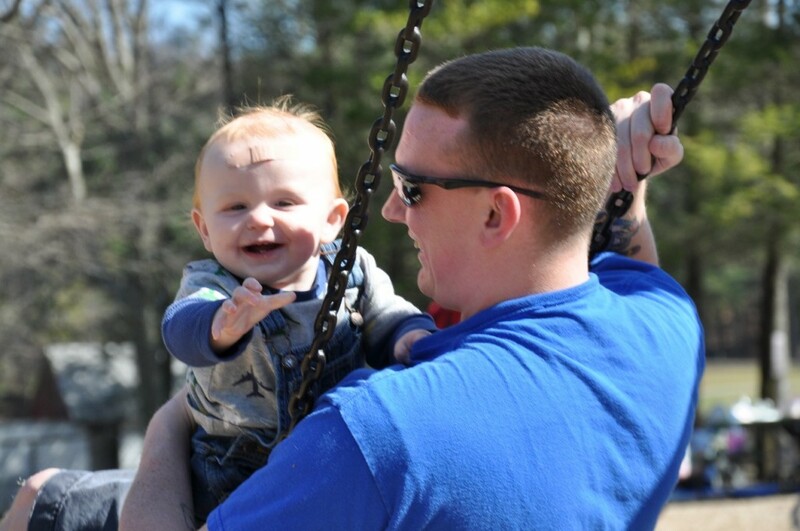 Poor baby head! Maybe he’s knocking some sense in there? ba-dum PSHHHHH.